What the heck is that title about? Some of you may know EXACTLY what the title means while most of you might be asking yourself if my keyboard is working properly. My keyboard is working just fine. The world of birding has definitely evolved since the advent of the Internet. 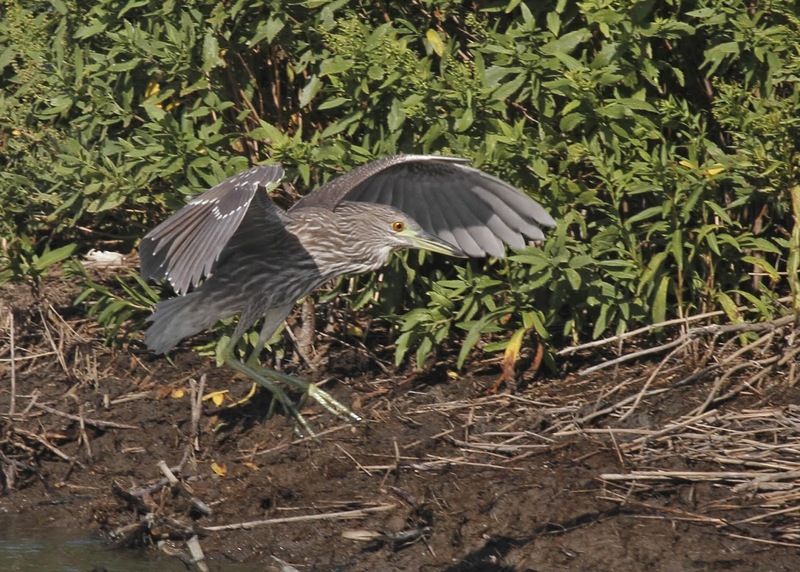 Birders can join email lists and check websites for information about who is seeing what, where. There are websites that allow us to log in our sightings and get reports - www.ebird.org and Smart Phones have taken the bird community to the next level too. 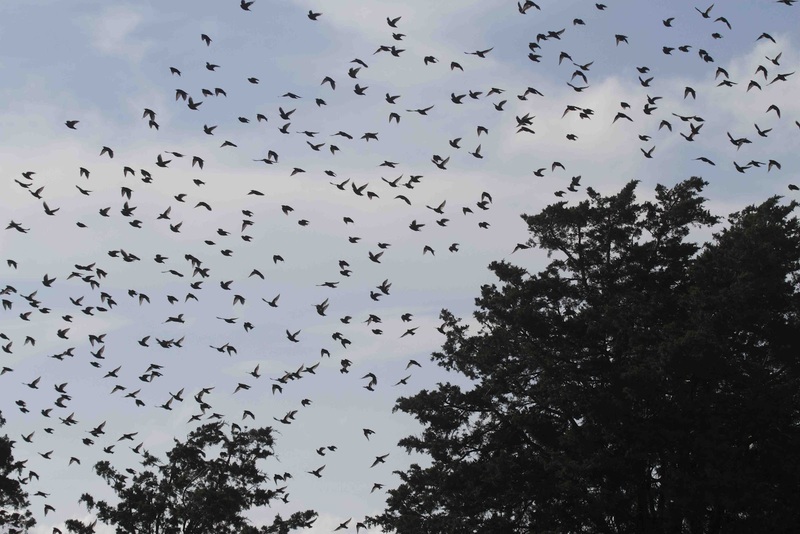 Text messages and "tweets" give us instant access to information about birds being seen. Because this communication is done on a tiny phone keypad and because it usually costs money to send the alerts, birders have taken to using shorthand and codes to describe what they are seeing and where. Text messages and Tweets were going around last weekend about a Reddish Egret, which is a rare bird being seen at Forsythe National Wildlife Management Area Brigantine Unit. The rare bird is abbreviated as a REEG and the place is simply called "Brig" by birders. You can see how difficult it would be to use a phone keypad to type "Reddish Egret being seen at Forsythe National Wildlife Management Area Brigantine Unit" rather than "REEG - Brig" . The new etiquette for this type of communication is for birders who chase this bird to continue to provide updates such as "REEG - YES" or "REEG moved to new location" or, in my case, "REEG - NO" meaning that the Reddish Egret hasn't been seen. This keeps everyone informed. 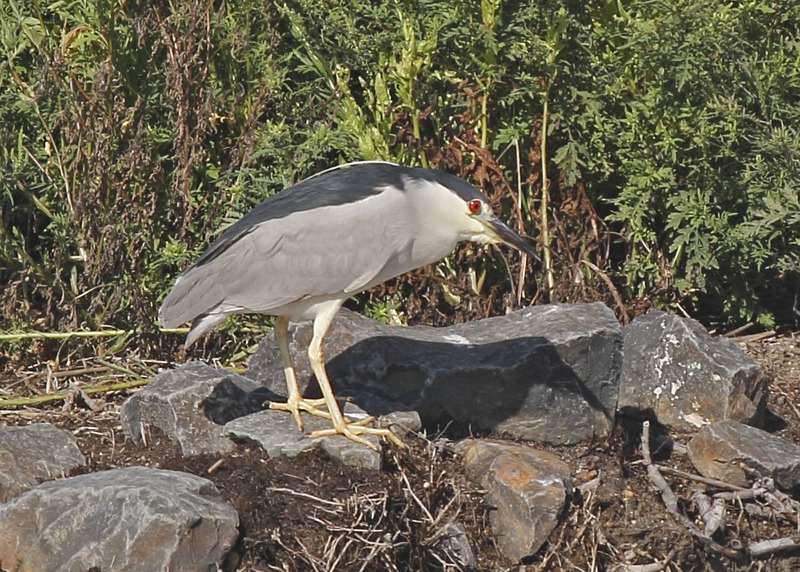 Here is the adult BCNH on the adjacent bank. Check out that blood red eye! 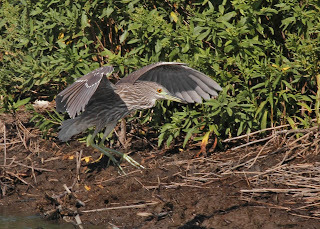 These birds are called "Night Herons" because they are usually resting during the day and active in the evening/night. These 2 birds must have had their times mixed up. 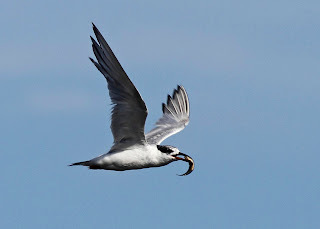 Forster's Terns are our most abundant terns along the Jersey coast in summer. They have a full black cap during spring and summer, then molt to show black just around the eye in fall and winter. 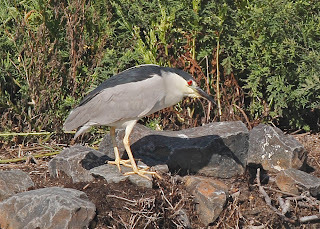 You can see that this bird has already lost his black cap. He flew overhead with this fish in his mouth calling for his youngster. The young bird got a pretty good meal. Late August is also the time when blackbirds and swallows start to amass for migration. 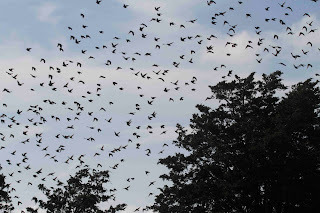 Here is a shot of hundreds of Starlings erupting from a tree. I hope to have more for you after the Labor Day weekend. I don't think we will be affected by Hurricane Isaac until late Monday so we may even get out on the boat! More fantastic shots. Love it! I am a (relatively new) birder in the Lehigh Valley. I participate in ebird, but have yet to really explore the entirety of the website. I am always looking for ways to get alerts on rare or interesting species hanging around in Eastern PA. Besides checking listservs, etc., how else might I stay informed? You mentioned Tweets and texts. I'd be interested in finding out more about where I could get news using both platforms. Thanks! Hi Sarah -- I subscribe to the PA Audubon list that it pretty good, although overwhelming my inbox. I also subscribe to group text on 414-11 for PA Bird alerts and Cape May alerts (using keekeekerr as the group name). Not much comes through that for PA, but a lot comes though for Cape May. I also subscribe to CMBO group text at 404-04. I also use BirdsEye iPhone app which pulls data from eBird sightings and is much more user friendly than going into eBird directly. Hope that helps and good birding!